Watersport activities are natural when you have first class facilities and this much water access - Cape Fear River, Atlantic Ocean, Gulf Stream, Intracoastal Waterway, Canals and rivers and freshwater lakes. Activities such as kayaking, sailing, power boating and cruising, jet skiing, stand up paddleboarding, canoeing, fishing, tubing and skiing and more. NC Wildlife Resource Commission Ramps – Suited for most trailered boats. Oak Island Mainland on Intracoastal Waterway– 4650 Fish Factory Road – 80 Trailer Spaces. Sunset Harbor on Intracoastal Waterway– 356 Riverview Drive, Bolivia – 33 Trailers Spaces. Rices Creek on Rices Creek– 797 Gordon Lewis Drive, Winnabow – 20 Trailer Spaces. Holden Beach on Intracoastal Waterway – 103 S. Shore Drive, Supply. – 15 Trailer Spaces. Sunset Beach -101 Sunset Blvd., Sunset Beach – 26 Trailer Spaces. Alton Lennon Park on The Big Lake – corner of East Boiling Spring Road/Alton Lennon Road, Boiling Spring Lakes. Kayak, canoe & lake boats. Spring Lake Park – Pine Road, Boiling Spring Lakes. Kayak, canoe and boats with electric motors only. Southport Marina Ramp on Intracoastal Waterway– 606 West West Street, Southport. May Moore Park on Intracoastal Waterway– Barbee Blvd. & Elizabeth Drive, Oak Island. Kayak & Canoe Dock. Dutchman Creek Boat Launch – NE 55th and Yacht Drive, Oak Island. Parking for trailers available. Tidalways Park on Davis Canal – 3003 E. Oak Island Drive, Oak Island. Kayak & Canoe Launch only. Bill Smith Park Kayak & Canoe Launch - Fish Factory Road. Kayak & Canoe Launch. Blue Water Point Marina Ramp on Intracoastal Waterway– 57th Place West, Oak Island. Brunswick Nature Park - 2601 River Road, Winnabow, Kayak, Canoe Launch. Brunswick River Park - 580 River Road, Leland. Kayak, Canoe and smaller boats. 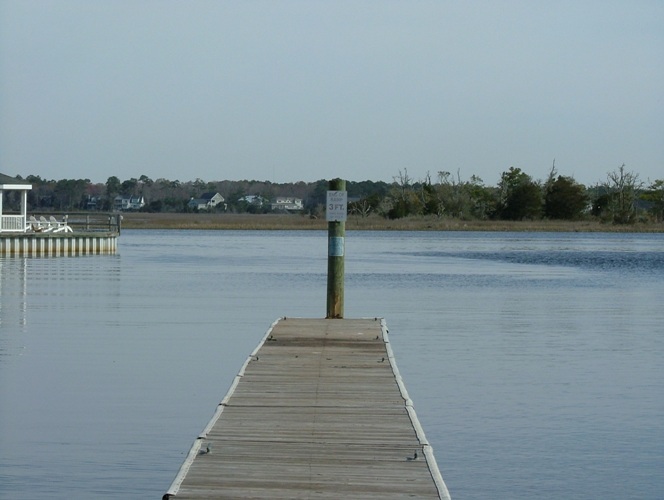 Bald Head Island Marina – Near Cape Fear River Buoy #13A. 6 Marina Wynd, Bald Head Island. Accommodates boats up to 100’ in length and 7’ draft. Bathhouse with restrooms, showers and laundry facilities. Gas/diesel fuel. Marine pump-out, electric hook ups, wireless internet and cable TV access available. Restaurant/Lounge. Blue Water Point Marina – 57th Place West, Oak Island. Boat Slips. Boat Ramp. Gas/Diesel Fuel. Ship’s Store. Motel and Restaurant with lounge onsite. Jetski/boat rentals. Deep Point Marina – Across from Cape Fear River Red Buoy #20. 1301 Ferry Road, Southport. Accommodates boats up to 102’ in length and 10’ draft. Boat Slips. Snack Bar, restrooms, laundry facilities, showers, convenience store, gas/diesel fuel, marine pump out, electric hook ups, wireless internet and cable TV access available. Dutchman Creek Marina- Private Marina. Dutchman Creek Condos, Yacht Drive, Oak Island. Public Boat Ramp. Boat Slips sold with condos. Indigo Plantation Marina – On Intracoastal Waterway- ICW Mile Marker #310. 6099 Indigo Plantation Drive, Southport. Accommodates boats up to 80’ in length and 8’ draft. Boat Slips. Clubhouse with restrooms, laundry facilities and showers. Electric and marine pump out available. 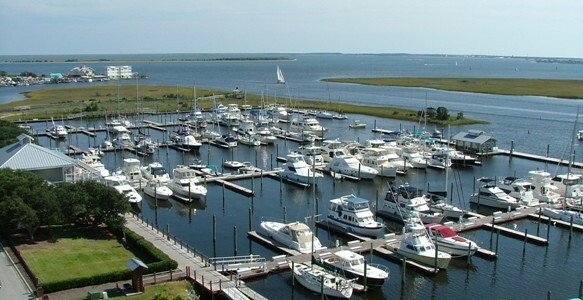 Marina at St. James Plantation – Private Marina on Intracoastal Waterway. 2572 St. James Drive, St. James. Boat Slips. Dry Storage. Restaurant/Lounge. South Harbour Marina – On Intracoastal Waterway – Just south of ICW Mile Marker #311. 4909 Fish Factory Road, Oak Island. Transient Dock accommodates boats up to 175’. Gas/Diesel Fuel. Boat Slips. Electric and water available. Clubhouse with restrooms, showers and laundry facilities. Pump out. Wireless Internet. Taxi Service. Bicycles. Rental Car available. Diver and mechanical services on call. Two restaurants with lounges onsite. Church. Airport with 5,505’ lighted and paved runway nearby. Southport Marina – On Intracoastal Waterway – ICW Mile Marker #309 at Marker 2A. 606 West West Street, Southport. Accommodates large vessels on the 330’ transient dock. Boat slips, restrooms, laundry facilities, showers, electric, cable TV and marine pump available. Wireless Internet. Dock House convenience store. Gas/Diesel Fuel. Dry Storage, Boat Ramp. Boat Lift. Haul out to 55 tons. Full Service Boatyard.